A.G.T. Ships Another AGT400 Upgrade! Advanced Gauging Technologies has shipped a new AGT400 upgrade to Samuel Doral Steel in Toledo, Ohio to replace an outdated GR200 gauge. This gauge will be installed on an 80″ Paxson slitter and will measure various steel alloys up to .250″ thick. 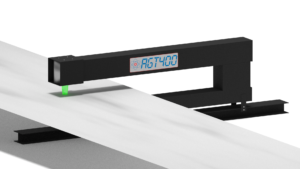 By replacing their GR100 gauge with an AGT400 upgrade, Samuel Doral will be able to reduce downtime, improve efficiency, as well as provide the most accurate and reliable thickness measurement available.